Toyota is a company that loves a partnership. It commissioned Yamaha to develop many of its petrol engines, it joint-developed a sports car with Subaru, sold engines to Lotus and agreed fuel cell and electric vehicle technology with BMW. Perhaps then, it won't surprise you to learn that when the Japanese giant was looking to rejuvenate its position in the LCV sector, it decided not to strike out alone. 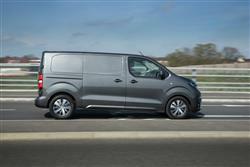 Instead it agreed a partnership with PSA Peugeot Citroen and the ProAce was born. 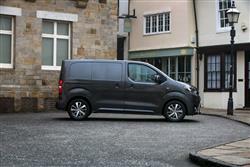 The first generation version was a re-badged version of the Citroen Dispatch and the Peugeot Expert and was launched in 2013 towards the end of the model lives of both those designs. This MK2 Proace, launched in mid-2016, is a much more modern thing, still sharing most things with its French stablemates but featuring a lot more Toyota input in its design. 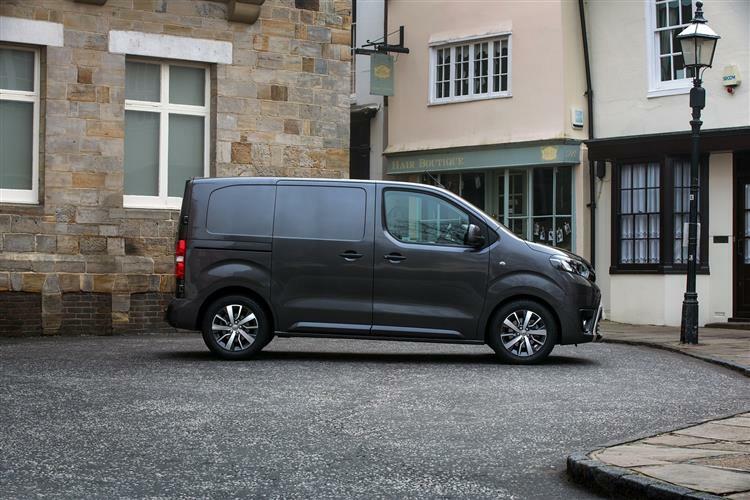 The ProAce is available with a range of diesel engines: if your requirements are mainly based around lighter loads and short distance urban work, then the entry-level 94bhp 1.6-litre diesel with its 210Nm of torque will be quite sufficient. For heavier payloads and longer journeys however, you'll be needing the 114bhp 1.6-litre diesel model which also gives you a 6-speed gearbox in space of the feebler 1.6's 5-speeder. 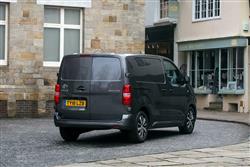 The power of this pokier version should be quite sufficient for most businesses, offering a full 240Nm of torque. If you do feel the need for more power, then there's also a 121bhp 2.0-litre diesel unit on offer packing a healthy 340Nm. The driving position, though not as lofty as in some models, nevertheless affords a decent view up the road and is comfortable on the move. That relaxed approach also extends to the electro-hydraulically-assisted power steering. You'll appreciate its lightness around town though, where this van is impressively manoeuvrable for its size, with a tight turning circle. 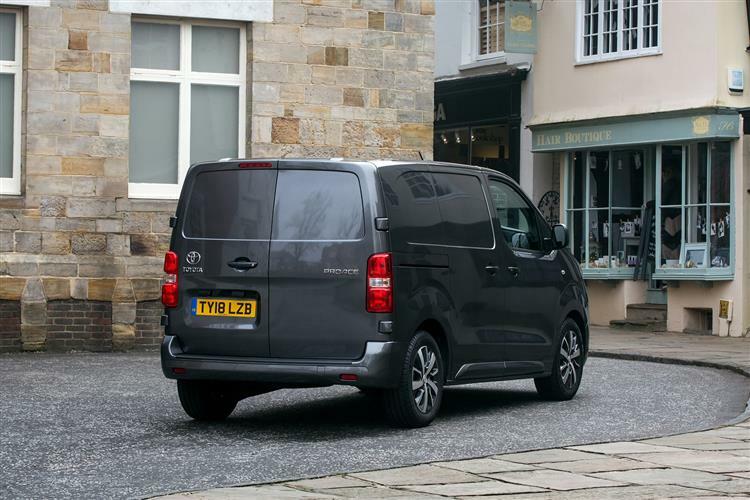 The low stance and the big front overhang can initially make parking a bit tricky, though rearward vision is helped hugely by huge door mirrors with their separate wide-angle reflectors. There's more to the Proace than meets the eye. 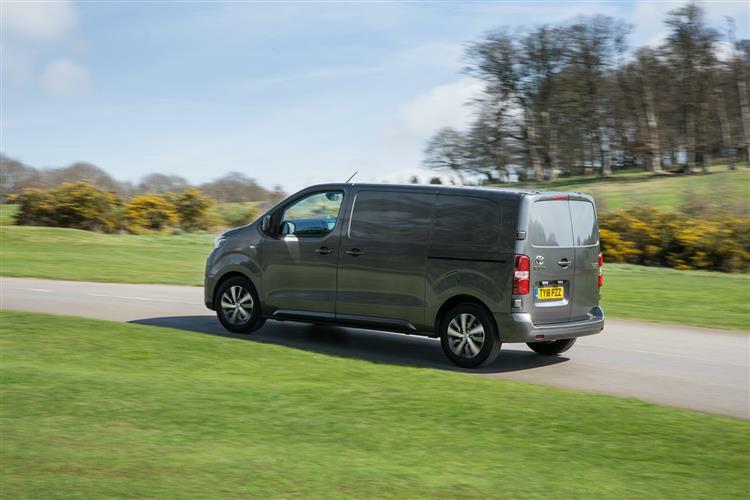 The neat and unassuming styling leads you to believe that it's not a hugely capacious thing, but there's versatility in the model configurations and the range covers a lot of bases. There's a choice of three body sizes - 'Compact', 'Medium' and 'Long'. With each vehicle length, the Proace benefits from left and right side sliding doors and side-hinged rear double doors that open to 180 degrees. Across the range, the windscreen is steeply raked, creating a wedge-shaped front end with huge headlamps. You'll find chunky rubbing strips protecting the flanks, while tail lights are mounted high up to help avoid potentially costly parking knocks. Get yourself comfortable and you'll appreciate a firmly upholstered seat that's positioned to suit those who've to jump in and out of their vehicle all the time. The cabin is robust, functional and spacious, designed to meet the needs of both commercial and private owners. The dashboard features clear instrumentation and analogue dials with ergonomic switchgear. The driving position is car-like and affords excellent visibility, with a short-throw gear lever mounted close to the steering wheel. Prices start at just under £18,000 excluding VAT for panel van versions of this Proace. That gets you the smallest 'Compact' size of course and the lowest-powered 94bhp 1.6-litre diesel engine. A premium of around £600 more gets you the larger 'Medium' bodystyle, at which point you'll be offered the opportunity to find a further £900 more for the pokier 114bhp version of the 1.6-litre diesel engine - the one most buyers will probably want. There's quite a big price gap from this unit to the 2.0-litre diesel: that'll set you back a further £1,100, which means an asking price that crests the £20,000 ex vat point. If you want the biggest 'Long' bodystyle, you have to have the 2.0-litre diesel and by that point, you'll be paying about £21,000 ex VAT. There are two main trim levels across the range - base or 'Comfort'. The 'Comfort'-spec variants include niceties like air conditioning. 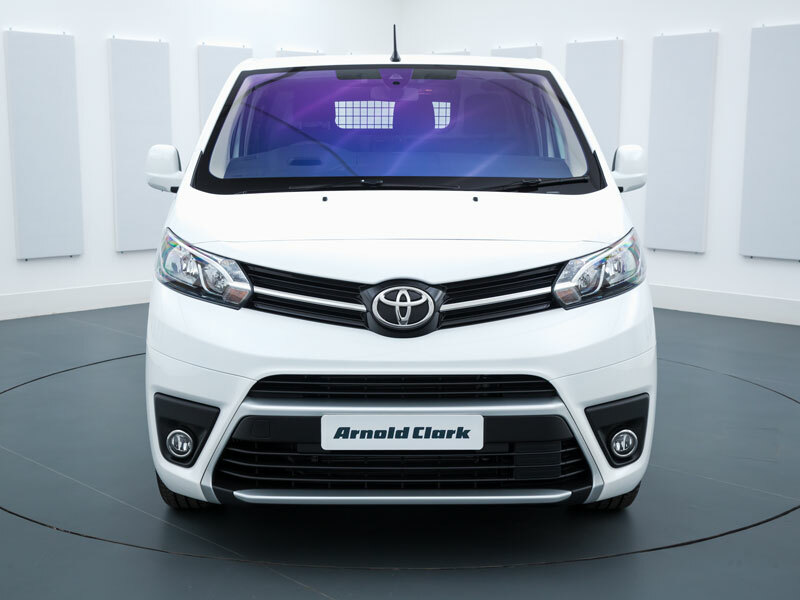 A Safety and Security Pack can be specified that equips Proace with a Toyota Safety Sense package including a Pre-Collision System with Forward Collision Warning and Autonomous Emergency Braking, and Adaptive Cruise Control, together with a head-up display, cornering lights, rain-sensing windscreen wipers, dusk-sensing headlights, an auto-dimming rear-view mirror and vehicle alarm. 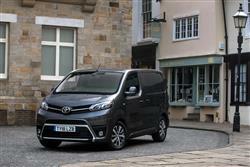 We're still looking here at the early stages of Toyota's rejuvenation in the commercial van sector. The choice of Proace derivatives isn't perhaps quite as large as some rivals can offer, but what's available will hit the sweet spot for 80% of users, all the key bases having been covered when it comes to size, weight and power. 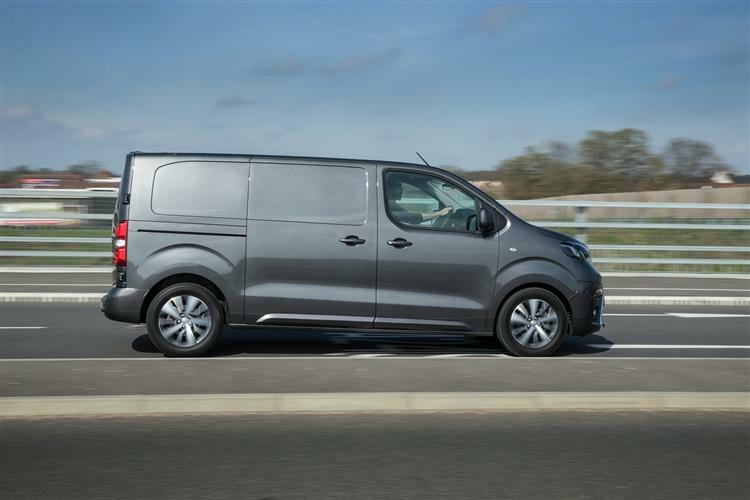 You're tempted to conclude in fact that a van of this size is probably the best bet for most businesses, lacking the constrictions of most compact models yet not far off them in terms of running costs. 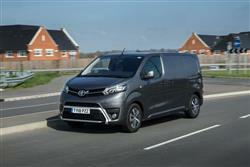 Why you should buy this medium range van rather than any other is a harder question to answer. Perhaps it's easiest to say that there aren't many reasons why you shouldn't. Other, more modern designs may look a shade smarter or be slightly more efficient or practical - but there's not a lot in it. Certainly not enough to matter if you've already a good relationship with your Toyota dealer or have a convenient one close by. Vans from this brand have a history of selling to real professionals. Don't expect that to change any time soon.